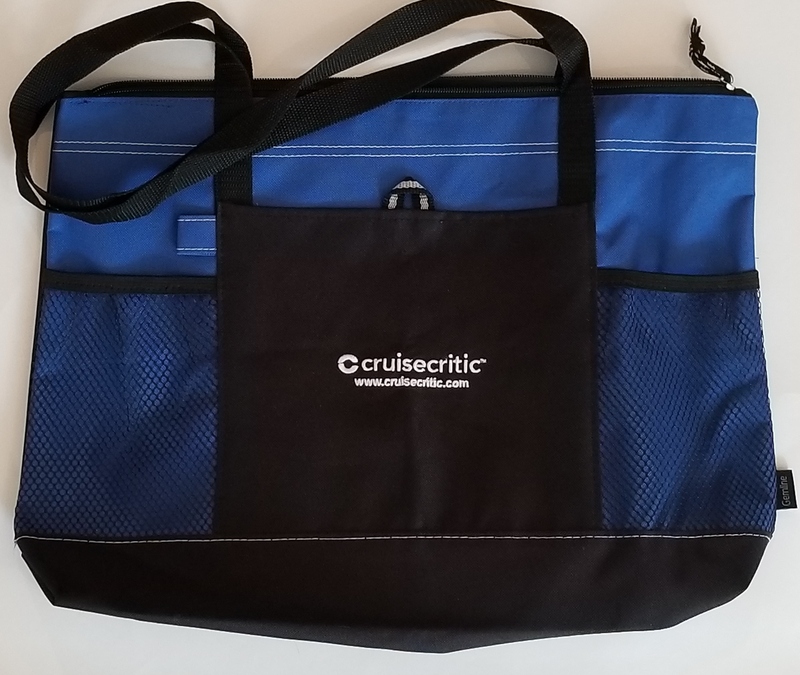 Sturdy, attractive, high quality, 600D polyester tote provides ample storage space to hold everything that's perfect for a day at the beach or shopping onshore! The zippered top protects personal belongings from spilling out. The front slip pocket and pen loop make smaller, more important accessories easier to find. Refreshments stay within easy reach inside the two mesh bottle pockets. Hoist necessities hands-free with the help of the dual 29-1/2" shoulder straps. Size: 14" x 20" x 4" Packs flat.